John M. Hughes, a lawyer for Students for Fair Admissions — the anti-affirmative action group suing the College over its race-conscious admissions policies — introduced the emails in a bid to prove Harvard unfairly prefers the wealthy and well-connected. Hughes read each messsage aloud before grilling the College’s long-serving Dean of Admissions and Financial Aid William R. Fitzsimmons ’67 on their contents. Hughes and Fitzsimmons faced off in court Wednesday as part of the high-stakes and high-profile trial in SFFA’s four-year-old suit alleging Harvard discriminates against Asian-American applicants. The trial, which kicked off Oct. 15 in a Boston courthouse, will likely continue for three weeks. If the case reaches the Supreme Court, it could decide the fate of affirmative action in the United States. The handful of emails — most of them sent between administrators and admissions officers — hint at the College’s behind-the-scenes fondness for applicants whose admission yields certain practical perks. Hughes referenced the emails as he quizzed Fitzsimmons on the “Dean’s Interest List,” a special and confidential list of applicants Harvard compiles every admissions cycle. Though the University closely guards the details, applicants on that list are often related to or of interest to top donors — and court filings show list members benefit from a significantly inflated acceptance rate. In one 2013 email headlined “My Hero,” former Dean of the Harvard Kennedy School David T. Ellwood ’75 thanked Fitzsimmons for his help admitting a set of students with very particular qualifications. In a separate email Hughes presented, Associate Vice President for Alumni Affairs and Development Roger P. Cheever ’67 reflected on the pros and cons of another Harvard hopeful. This student’s family at one point donated $8.7 million to the University — but more recent years had proven “challenging,” Cheever wrote. Cheever closed the email by noting he would “call it a 2” — an apparent attempt to score the applicant-and-donation package. After Hughes asked Fitzsimmons to explain the number, the dean said the “2” ranking meant the candidate would receive a boost in the admissions process. Fitzsimmons described the boost given to a “2” applicant as “reasonably serious,” though not as significant as the preference given to a “1” candidate. The dean previously admitted in pre-trial testimony that greater “financial contribution[s]” can lead to higher ratings for individual applicants. After the family of an unidentified applicant donated $1.1 million to the school, former head tennis coach David R. Fish ’72 treated that candidate to a special tour of campus. He later wrote to Fitzsimmons describing the visit. 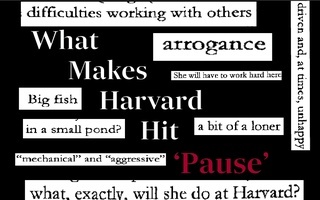 The public has long suspected that Harvard favors those who fund it. But blatant examples like those presented Wednesday — the promised building, the “conceivable” art collection, the "red carpet" treatment — rarely if ever become public knowledge. The interest in the courtroom Wednesday was palpable. When Hughes displayed the emails on television screens at the front of the room, dozens of spectators in the chamber leaned forward in their seats to get a closer look. “It could be,” Fitzsimmons said. Hughes also grilled Fitzsimmons on how applicants wind up on the dean’s list. Fitzsimmons said the University Development Office — an office that solicits alumni donations — sometimes offers names to the dean. Summer court filings suggested the dean regularly sits down with Development Office employees and senior admissions staff to discuss specific high schoolers. 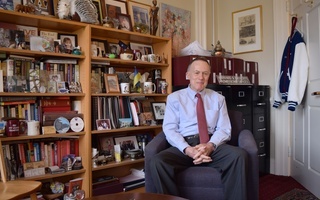 Fitzsimmons defended Harvard’s special treatment of applicants linked to top donors as “important for the long-term strength of the institution.” He said this tactic secures funding for scholarships, among other things. 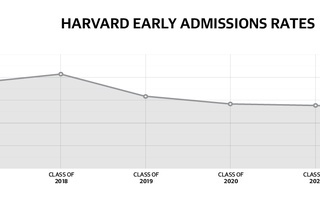 Despite its low profile, the dean’s interest list has helped shape Harvard admissions for at least the past half-decade. Documents published in June revealed that 192 current Harvard seniors — more than 10 percent of the Class of 2019 — are members of the dean’s list or the “Director’s List,” a similarly select group of applicants compiled by Director of Admissions Marlyn E. McGrath ’70 every year. 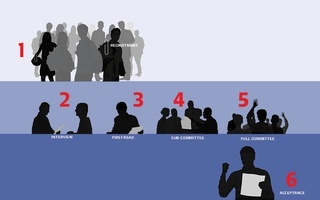 The June filings also show that students on the twin lists make up 9.34 percent of Harvard admits across six years, ranging from the Class of 2014 through the Class of 2019. The admission rate for members of the dean’s and director’s lists during this time period clocked in at 42.2 percent, more than nine times the overall acceptance rate for the Class of 2022. In addition to a higher likelihood of admission, students on these lists see certain opportunities — such as staff interviews held on campus in the admissions office — that others do not, according to court filings published over the summer. College spokesperson Rachael Dane wrote in an emailed statement in August that students on both the dean’s and director’s lists compete in the “same rigorous admissions process” as do all other Harvard applicants. 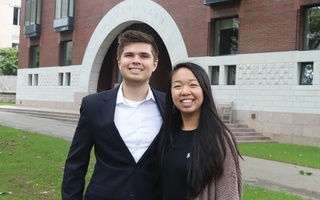 “The Dean’s interest list is inclusive of all applicants who the Dean of Admissions wishes to keep track of during the admissions process, whether they be children of donors, or an applicant the Dean met at some point in their high school career and wished to keep an eye on,” Dane wrote. SFFA has noted that students who appear on the two lists — along with legacy students, recruited athletes, and children of Harvard faculty members — are overwhelmingly white. Students in these four categories make up roughly 29 percent of students at the College, which SFFA argues results in fewer spots awarded to Asian-American applicants. SFFA first filed suit against Harvard in 2014, alleging that that Asian Americans applying to Harvard face higher standards for admission than do high schoolers of other races. The College has repeatedly denied all allegations of discrimination. The trial is set to continue Thursday morning when Harvard’s lead lawyer, William F. Lee ’72, will question Fitzsimmons.